The far north east of Scotland taking in the offshore islands. The Novantae were a people of the late 2nd century who lived in what is now Galloway and Carrick, in southwestern-most Scotland. They are mentioned briefly in Ptolemy's Geography (written c. 150), and there is no other historical record of them. Excavations at Rispain Camp, near Whithorn, show that it was a large fortified farmstead occupied between 100 BC and 200 AD, indicating that the people living in the area at that time were engaged in agriculture. Their ethnic and cultural affinity is uncertain, with various authorities asserting Brythonic, Pict, Gael, or some combination thereof. However, the region has a history that includes all three as possibilities at various times, alone and in combination, and there is not enough information to disprove any of them. The only reliable historical reference to the Novantae is from the Geography of Ptolemy in c. 150, where he gives their homeland and primary towns. They are found in no other source. They are unique among the peoples that Ptolemy names in that their location is reliably known due to the way he named several readily identifiable physical features. His Novantarum Cheronesus is the Rhins of Galloway, and his Novantarum promontory is the Mull of Galloway. This pins the Novantae to that area. Ptolemy says that the their towns were Locopibium and Rerigonium. As there were no towns as such in the area at that time, he was likely referring to native strong points such as duns or royal courts. The earliest reliable information on the region of Galloway and Carrick during the time when the Novantae were known to live there is from archaeology that researches Roman Britain. The only Roman military presence was a small fortlet at Gatehouse of Fleet, in the southeastern part of Novantae territory. 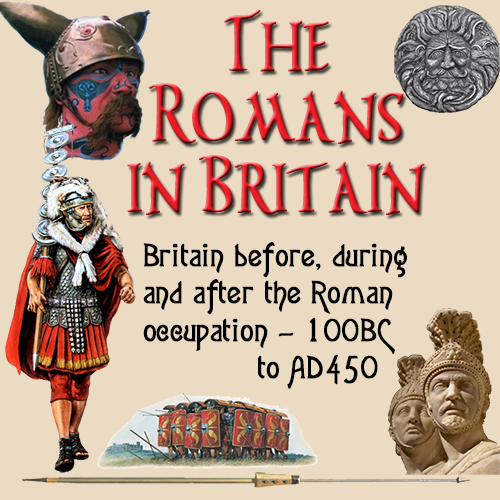 The Roman remains that have been excavated are portable, such as might be carried or transported into the region. The absence of evidence of Roman presence is in sharp contrast to the many remains of native habitation and strong points. Rispain Camp near Whithorn, once thought to be Roman, is now known to be the remains of a large fortified farmstead, occupied by natives before and during the Roman Era. In his account of the campaigns of Gnaeus Julius Agricola (governor 78 – 84), Tacitus offers no specific information on the peoples then living in Scotland. He says that after a combination of force and diplomacy quieted discontent among the Britons who had been conquered previously, Agricola built forts in their territories in 79. In 80 he marched to the Firth of Tay, campaigning against the peoples there. He did not return until 81, at which time he consolidated his gains in the lands that he had conquered. The homeland of the Novantae, like those of the Damnonii and Votadini, was not planted with forts, suggesting (but not confirming) that the peoples of these regions had reached an amicable understanding with the Romans (such as an unequal alliance). There is no indication that the Romans ever waged war against any of these peoples.